At the beginning of 2012, Virgin Casino has launched a new slot game, titled Crazy Slots. According to Virgin Casino, it is a game of strategy and fun. Crazy Slots has a single master reel and four three-reel slots that are fixed. The four reels are filled with combinations from the master reel by the players as the master reel is spun. This way players must fill in the fixed reels in such way that when all of them are complete, there must be winning combination in the paylines. The game provides visual hints to the players and once a slot is filled, some points are awarded to the players. In the end, if enough points have been awarded, then the prize is paid. 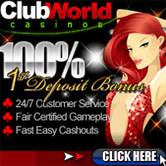 Crazy Slots game also offers bonuses and free spins, as all Virgin slot games do. When nine of the kind symbols are in one slot, then 200 bonus points are awarded to the player. All slots in the game have five reels, which are fixed and always active.